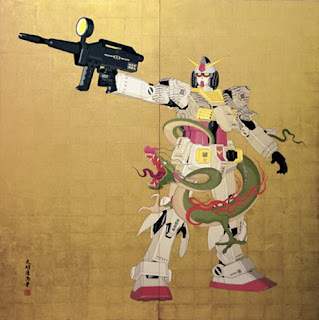 The artist set Gundam against the gold leaf background to symbolize the samurai origins of Gundam. The painting is beautiful, but 600K, wow!! This is not the first time Gundam's likeness has garnered a ton of money!